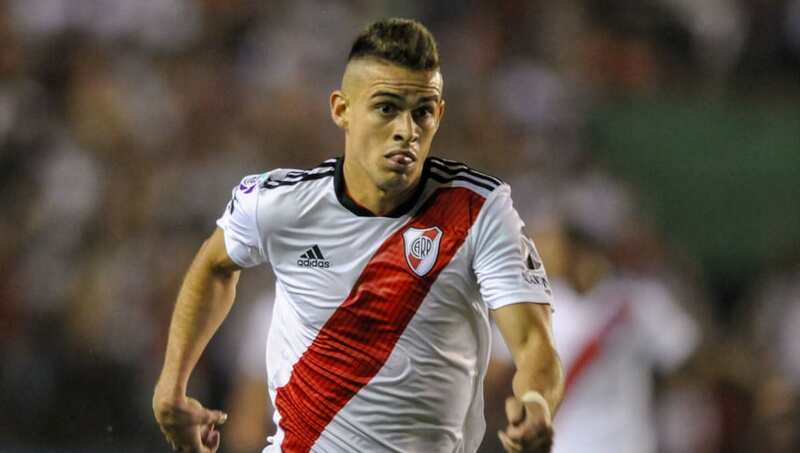 ​Crystal Palace are reportedly interested in signing River Plate's forward Rafael Santos Borre, with the Colombian having a €30m release clause in his contract with the Copa Libertadores champions. According to ​Marca, ​Crystal Palace have made contact with the Argentinian club in regards to the availability of Borre, with the view to a summer move to Selhurst Park. It is unclear however as to how successful initial discussions over the player have been. Borre joined River Plate in 2017 from ​Atletico Madrid following an unsuccessful stint in in the Spanish capital in which he made no senior appearances for Los Rojiblancos. Palace manager Roy Hodgson may look towards Borre to solve his striking conundrum, with ​Christian Benteke, Connor Wickham and Jordan Ayew only managing a single goal between them. ​Michy Batshuayi has scored two goals in six appearances since joining the Eagles in January, however it is unclear as to whether Hodgson's side would be able to secure the Belgian on a permanent deal upon the expiry of his current loan deal from ​Chelsea.